These schemes were launched in four priority areas covering 300 km of sea front. 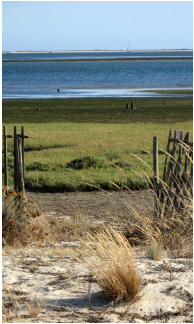 The “Polis Litoral Ria Formosa” - Society for Rehabilitation and Improvement of Ria Formosa (lagoon in South Portugal), was the first integrated operation of shoreline rehabilitation and recovery to enter into completion phase. The FORWARD (Framework for Ria Formosa water quality, aquaculture, and resource development) project is part of a set of plans developed by Polis Litoral Ria Formosa S.A. - Sociedade para a Requalificação e Valorização da Ria Formosa (polislitoralriaformosa.pt/), in particular its P6 plan: Plano de valorização e gestão sustentável das actividades ligadas aos recursos da Ria (Plan for sustainable management and value-added of activities associated to the resources of the Ria). The project FORWARD (P6 plan - contract nº 101/10/CN003) was executed in order to analyse shellfish and finfish aquaculture activities in the Ria Formosa, to gain a better understanding of the interactions between aquaculture and environment, and to promote sustainable development of aquaculture.